Nishan Lee was born and raised in Colombo, Sri Lanka with morethan 15 years experience in the industry and awakened a taste for the art of DJing and increased his interest in music. He is a specialist in the entertainment scene in Sri Lanka & Dubai and has performed in various clubs and events. Nishan Lee’s forte lies in various genres ranging from Electronic Dance Music Progressive House, Deep House, Techno House. Nishan Lee prefers deep, emotional, hypnotic and heart touching music, that's why he had chosen Progressive House as a main genre. Soon Nishan Lee’s work and effort was noticed and he got the chance to participate in various radio shows (Local / International) and events and in the same time he became one of the most important names on the Electronic Music scene in Dubai and Sri Lanka which took his name to the next level out of the borders of his country. Shortly he started to organize different events where he played along with a lot of important DJ's, today his colleagues and mates, he was influenced by these artists and his own style got improved and modified but always varied between Progressive, Deep, Techno House. Always focusing on generating emotional hypnotic atmospheres and feelings. 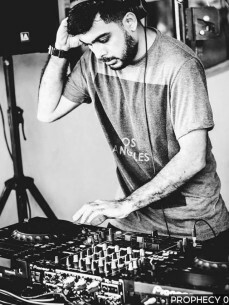 Also he has played alongside a variety of artists and DJs like Guy J, Guy Mantzur, CID Inc, Darin Epsilon, Khen, Brian CID, Lonya, Stas Drive, Patrick Carrera aka MUUI, Praveen Achary, Subandrio and more. Over decades of priceless experiences and a mind full of creativity and unimaginable talent, Nishan Lee anticipates his involvement in many more recognised movements and events (BASEMENT Dubai, Underground Rhythm & Audiosolo Sri Lanka) as he continues to pursue his passion to accomplish his initial goal, moving the masses. Currently Nishan is producing a series of new original tracks and Remixes as well as gigs around the region with many surprising news & projects to be released in the near future.